Comments: The Tulip Nebula, or Sharpless 101 (Sh2-101) or the Cygnus Star Cloud is an emission nebula located in the constellation Cygnus. It is so named because it appears to resemble the outline of a tulip when imaged photographically. 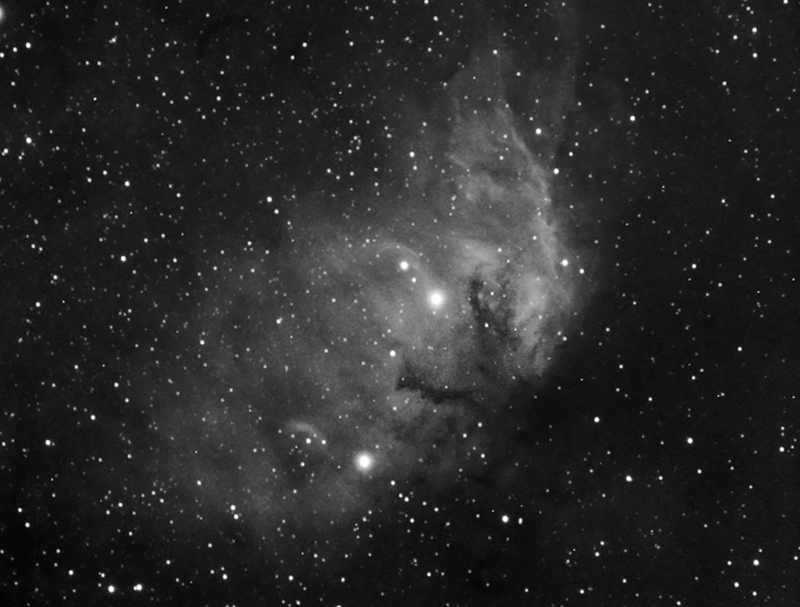 It was catalogued by astronomer Stewart Sharpless in his 1959 catalog of nebulae. It lies at a distance of about 6,000 light-years from Earth.